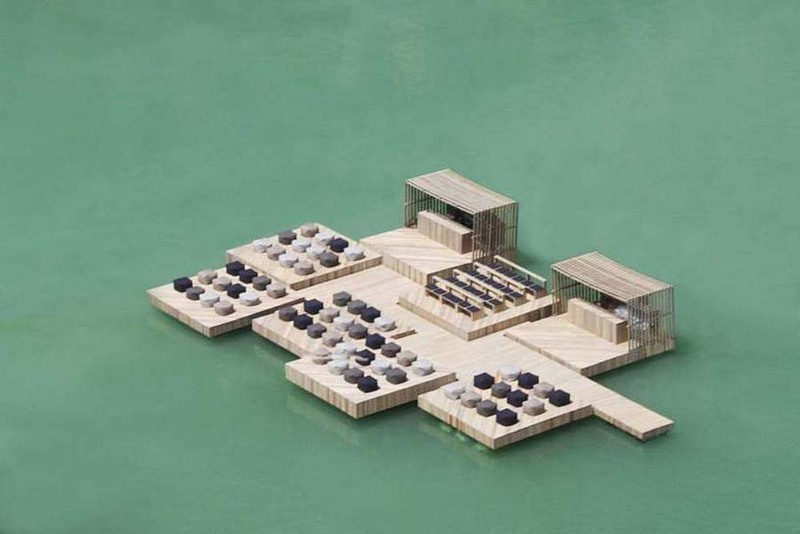 Sometimes architects surprise us with really unusual ideas. And not just with extraordinary architecture forms but also with unusual places for their creations. 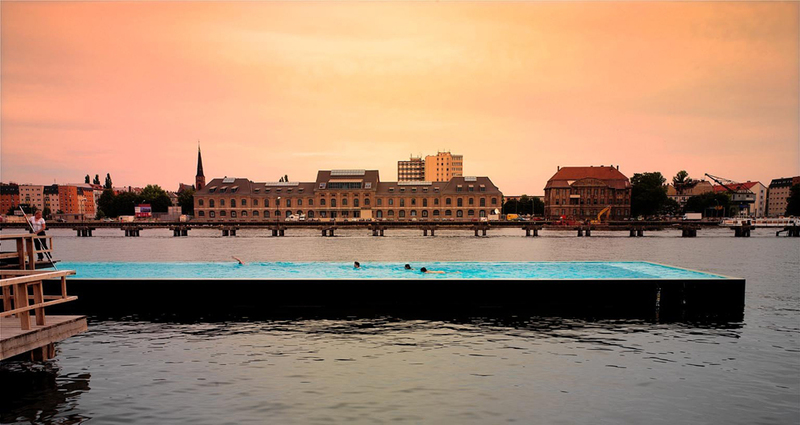 We think you would agree that open sea is very weird place for swimming pool or skate ramp. But these objects do exist and in this collection we’ve gathered a few unusual floating objects to show you. Take a look! 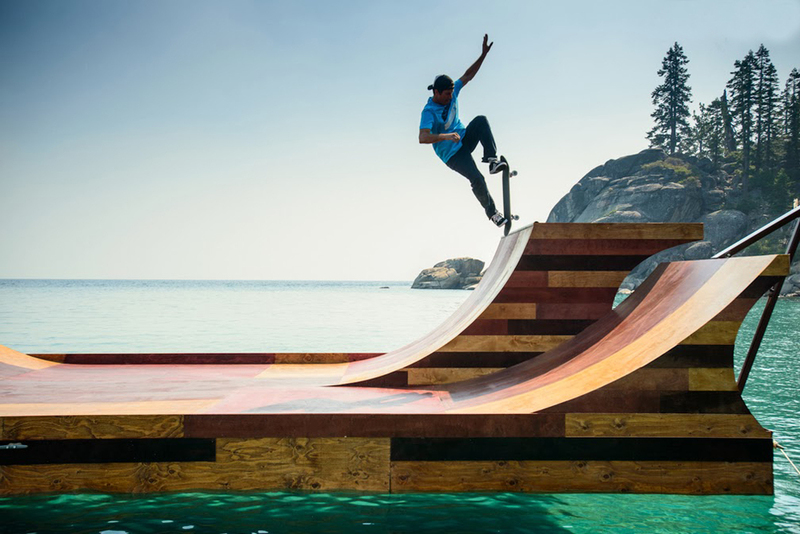 In 2013 Visit California asked pro skateboarder Bob Burnquist to dream big and try something completely new. 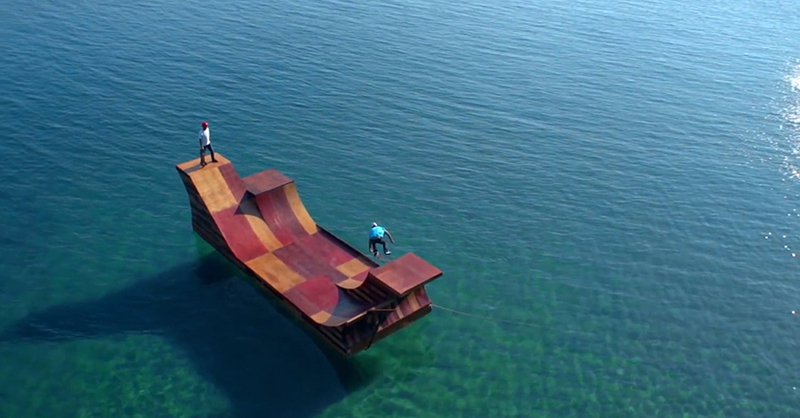 After having skated on pretty much every surface imaginable, Burnquist decided that he wanted to build a floating skate ramp. 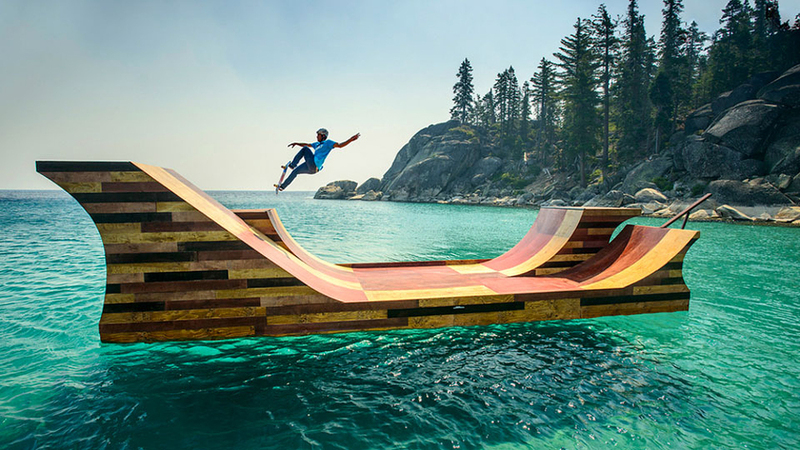 They made it happen and weeks later, Bob Burnquist’s floating skate ramp was ready and launched on Lake Tahoe. 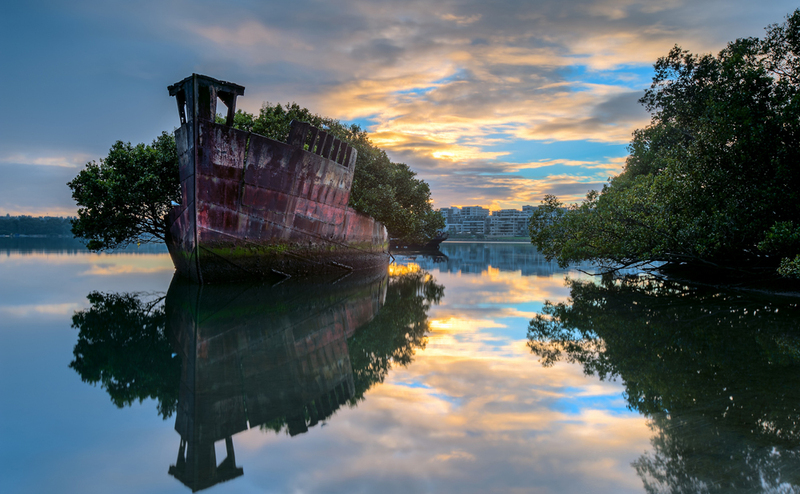 Homebush Bay in Sydney, Australia is home to the remnants of a ship-breaking yard that operated during the mid 20th-century. One such ship was the SS Ayrfield, a 1,140-tonne behemoth built in 1911 as a steam collier that was later used during WWII as a transport ship. 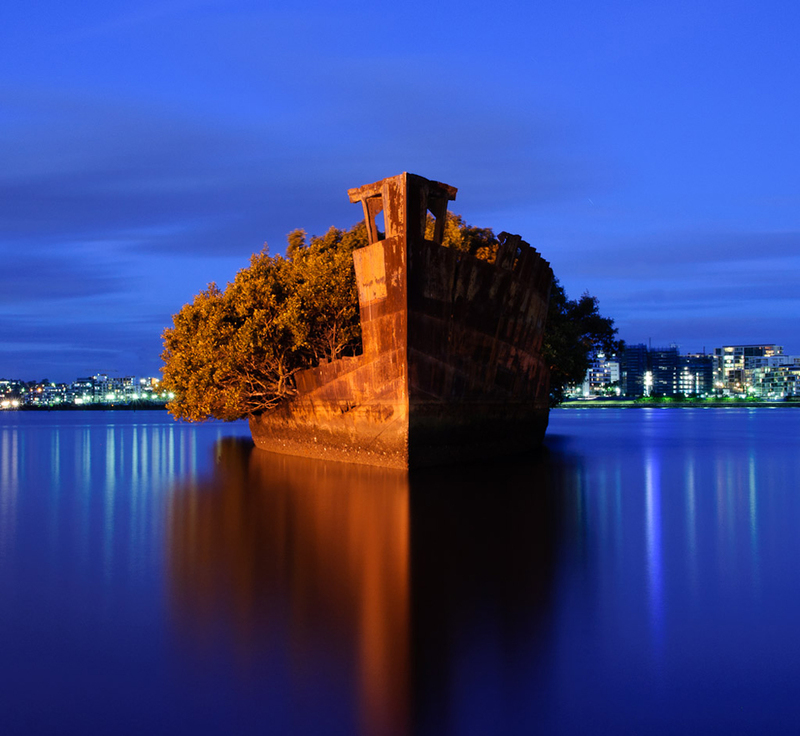 In 1972 it was brought to Homebush Bay to be dismantled, but fate would decide differently. Operations at the ship-breaking yard subsequently ceased and parts of several large vessels including the Ayrfield were left behind. 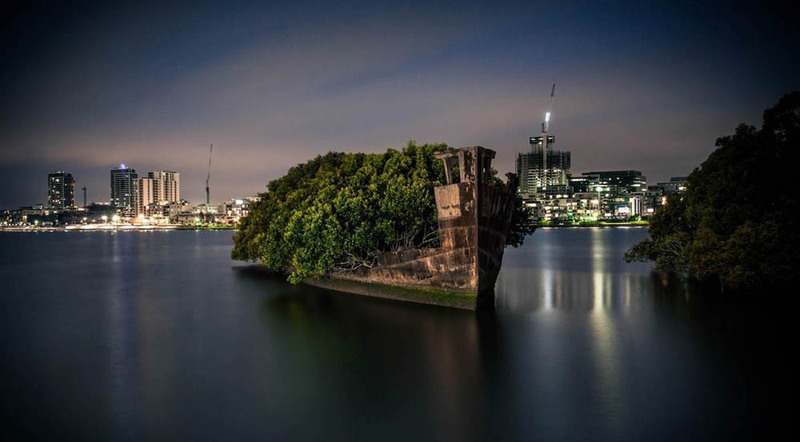 And this century-old transport ship would be transformed by time into a floating forest, a peculiar home for trees and other vegetation that have since sprouted over the last few decades. 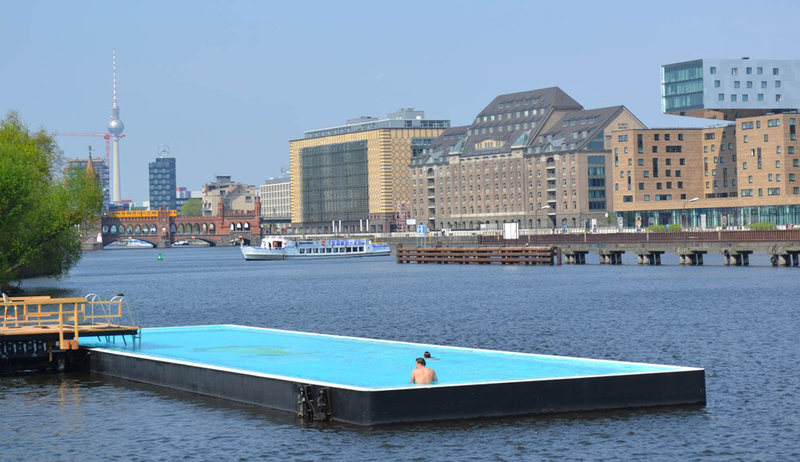 Berlin’s floating Arena Badeschiff swimming pool provides the perfect place to spend hot summer days at the bustling German capital. 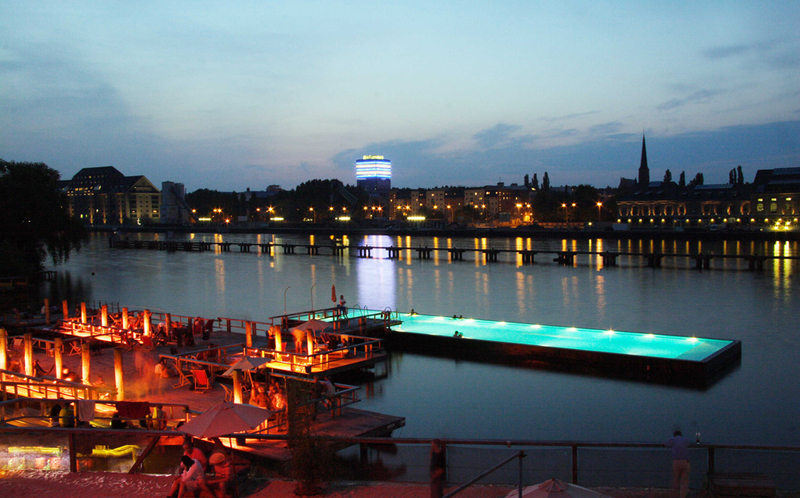 The 105-foot-long pool floats in the river Spree, and it invites the public to relax, sunbathe, do yoga and swim. 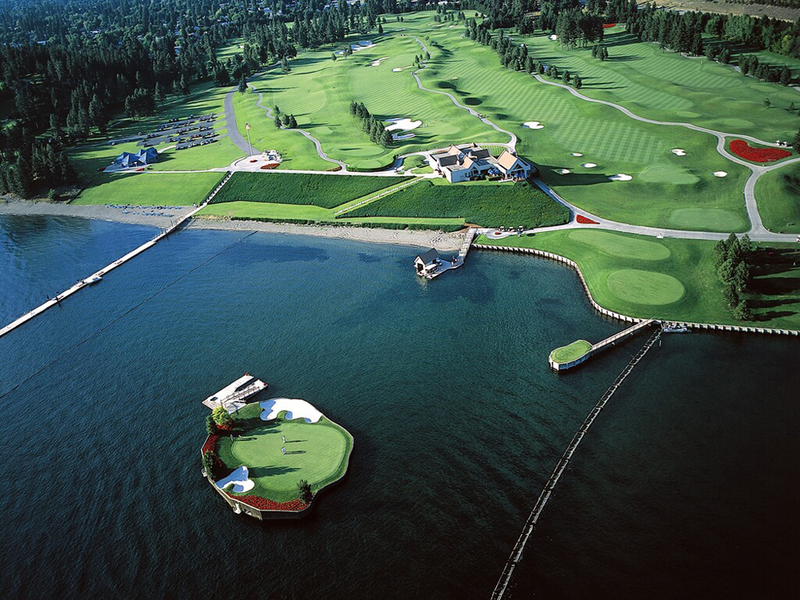 The Coeur d’Alene Resort is located in Coeur d’Alene, Idaho, U.S. 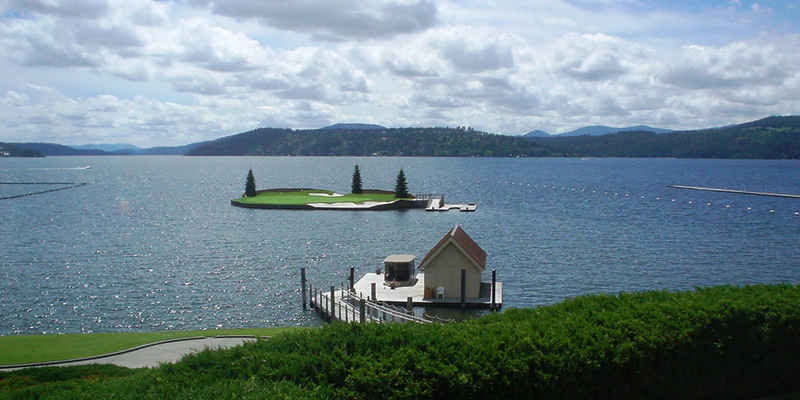 The major attraction for this place is the 18-hole golf course. 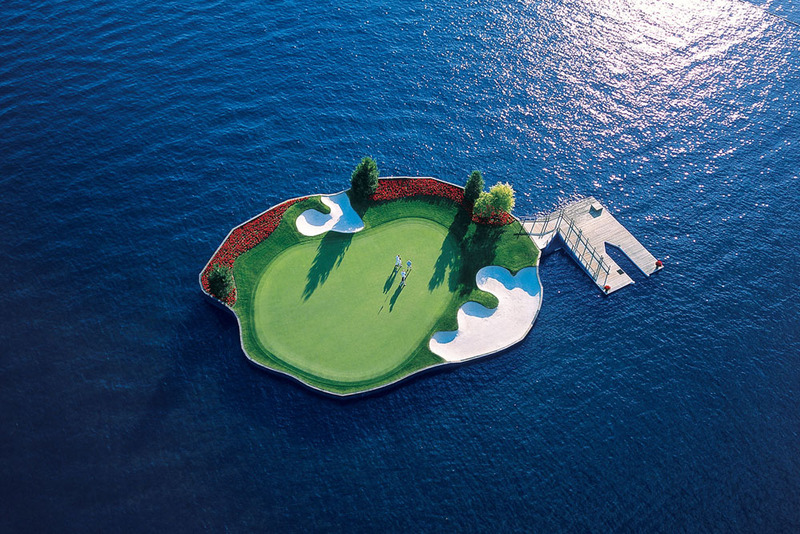 This 18-hole golf course is best known because of its peculiar 14th hole which rests on an artificial island made on a boat that keeps moving on its own in the lake. The whole process is computerized and you’ll never find the island at the same place for more than a day. 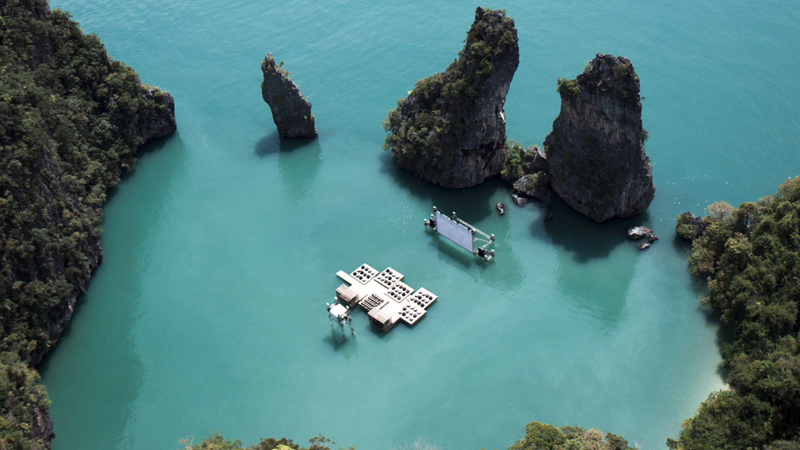 Archipelago cinema, designed by German-born and Beijing-based architect Ole Scheeren is a cinema designed to float on the sea.